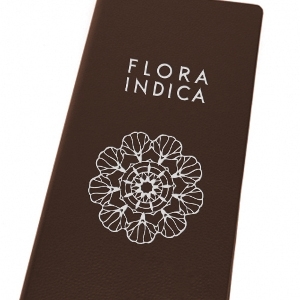 Not only can we personalise the shape, size, material and colour of your menu, but we can add your logo or artwork too. These are the methods that we can use to give you the desired effect for your logo or artwork. Debossing is the process of recessing into material - the opposite of embossing which is to raise up from the material. The result is an indentation in the material of the cover. 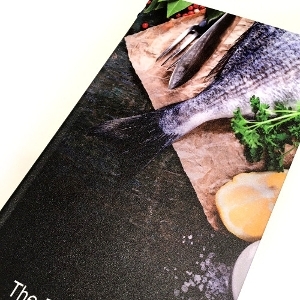 Debossing works wonderfully for a subtle and elegant menu design and can be applied to almost any of our materials. To recess artwork or a logo, a stamp (or blocking plate) is required. We only charge a one off fee for the creation of the blocking plate and then we will deboss as many covers as you require with that same artwork or logo. Hot foil stamping is similar to debossing, however before we start, we add a piece of foil to the stamp and heat it up. 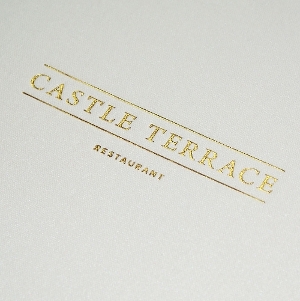 When we stamp, the parts of the foil that make contact with the menu are left behind to create a one colour logo. We have a huge range of foil colours, so you could match almost perfectly to your branding. This method can also be applied to almost all of our materials. Hot foiling does leave a slight indentation in the material as well, but not as deep as when we deboss. We also only charge for the creation of the stamp with hot foil. So no matter how many menus you are having foiled, there is only a single charge. We use a high quality full digital print which, unlike other techniques, allows you to print in as many different colours as you like. With the digital print method, you can add everything from photographs to maps and everything in between. This can be used in conjunction with debossing, metal plate and hot foil techniques to add even more interest and texture to your design. Although this technique looks fantastic as the main focal point of a menu, it has become increasingly popular for just the inside of the menu, which gives a beautiful contrast against a plain covering material. 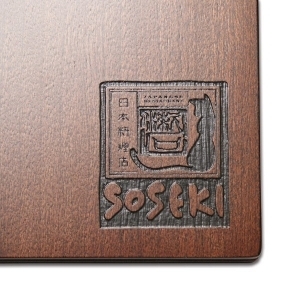 This technique uses a metal plate which is digitally printed with a design or logo, and then applied to your menu. Using this technique, you can have a full colour print on the metal plate. This method is reminiscent of high technicality engineering and works brilliantly in an industrial style venues in particular. Engraving is a classic technique that is still as popular today as any other time in its long history. 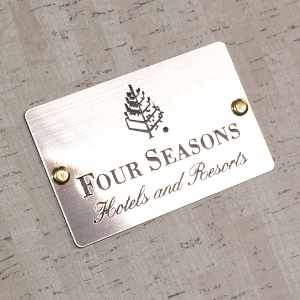 Now, with laser engraving techniques, we are able to accurately engrave designs at minimal costs. Available only on our wooden and metal products and some acrylic products, this method creates a stunning effect. 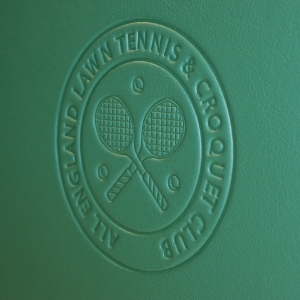 Engraving is to cut a layer from the top of the material to leave an indented pattern, artwork or logo. Leaving a similar effect to debossing, engraving can be used for more intricate patterns and works on different materials. The screen printing technique uses a stencil cut out in to the shape of your artwork and then ink is applied over it. With this technique it is possible to create single colour artworks with no recession in to the material at all. Or, with the use of multiple stencils, multi-coloured artworks can be created. This method is available on the majority of our materials.